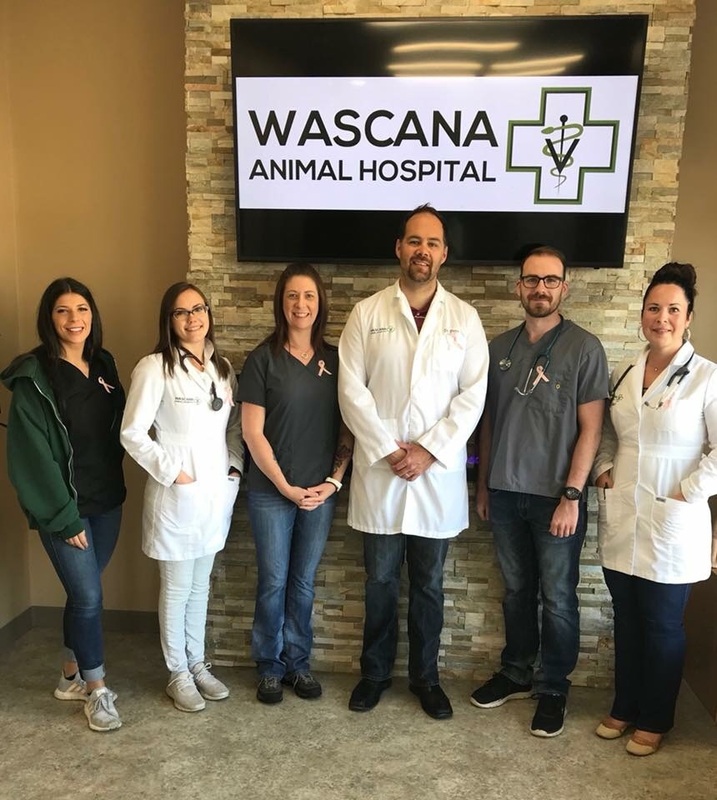 At Wascana Animal Hospital, our team believes strongly in giving back and remaining active in our community. Some of the ways we do this, are by having team members available to visit pre-schools, elementary schools, Girl Guide & Scout groups as well as many other extra-curricular clubs. We also have had different groups come to our hospital for a tour! We provide veterinary education and are available to answer questions about what it is like to be a veterinarian or technician. We also are trained presenters for the "Be A Tree" program which educates people on how to read dog body language and interact safely with new dogs they may meet. This past June, Dr. Ulmer presented the "Be A Tree" program to children at our hospital. In December, she also visited a local pre-school to teach this presentation (and maybe fixed a few "stuffies" as well!) 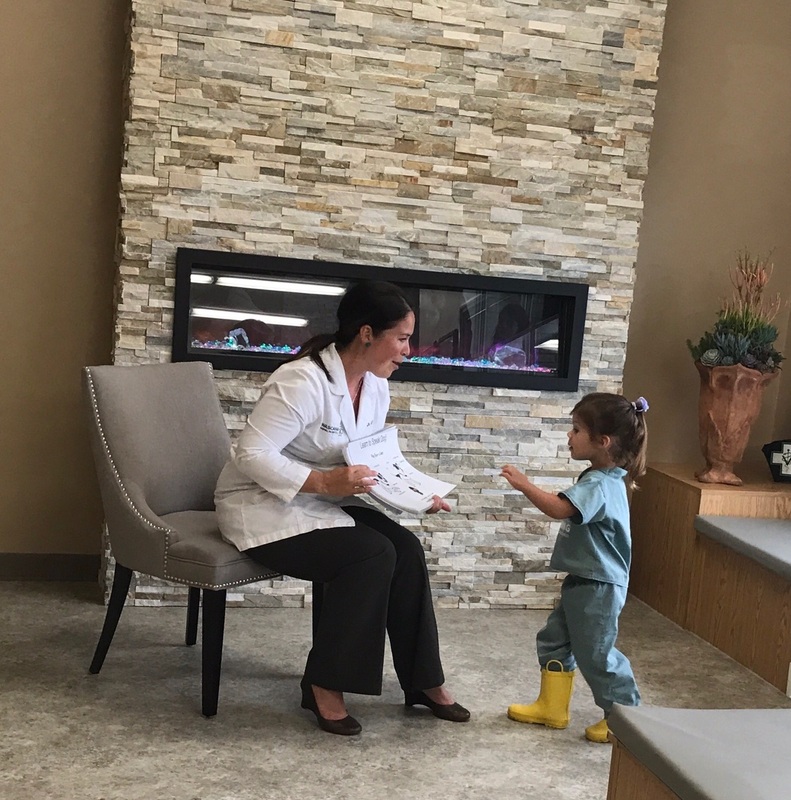 Please call us at 306-789-0918 if you would like one of our team members to do a presentation for your group or to arrange a hospital tour! We also work with rescue groups to provide veterinary services for their animals. 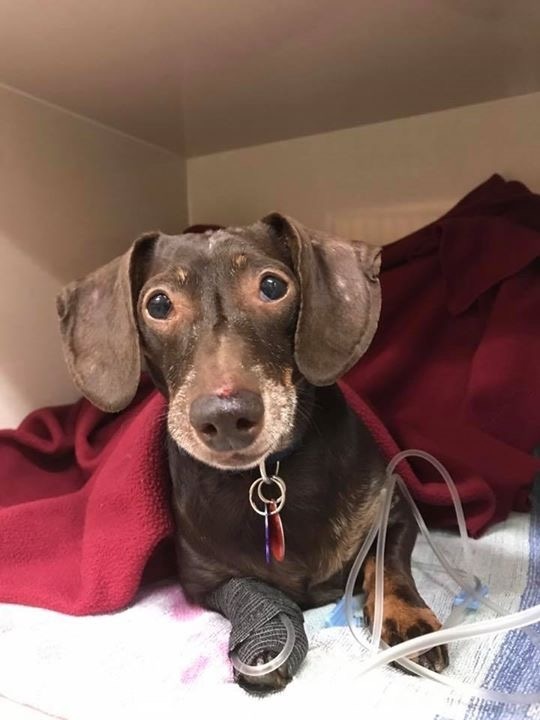 The first patient we helped was a sweet old boy named Hershey (shown below). We look forward to continuing to assist these rescue dogs get back on their path to wellness, so that they can find their forever homes! 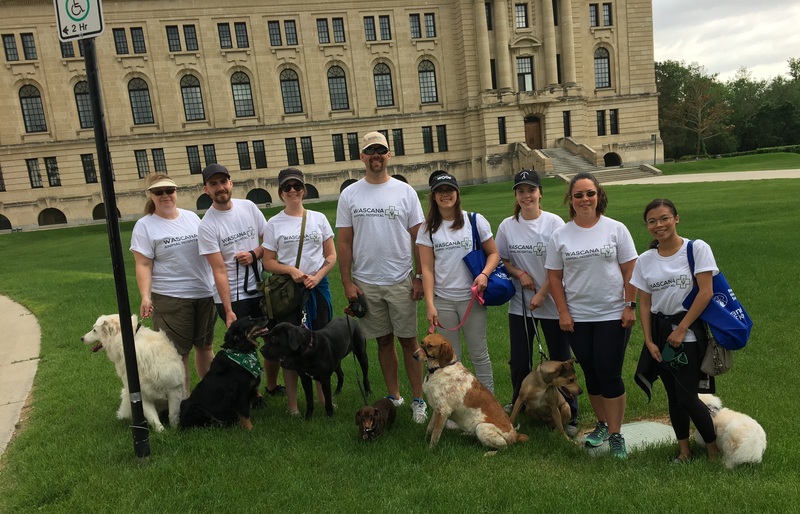 Our team also joined in the RHS Dog Jog this June 2018 presented by K-Lane Kennels. Besides being a sponsor for the Best in Group prize, we also participated as a team as well! We appreciated the opportunity to be active with our four-legged companions while supporting RHS animals in need. We braved the rain clouds and and enjoyed a wonderful outing! 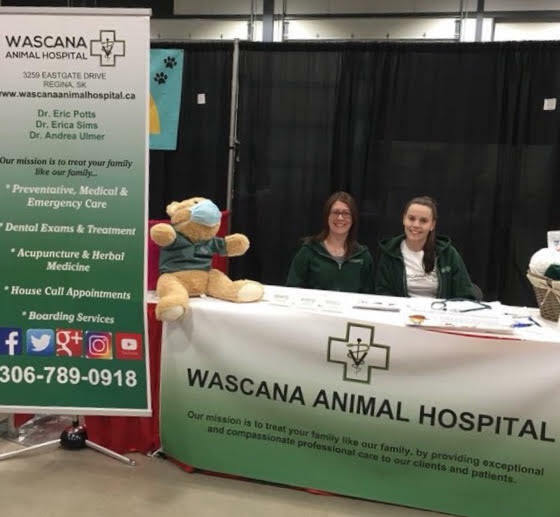 Our team was recently at the Pet Expo at Evraz Place at the beginning of April 2018. 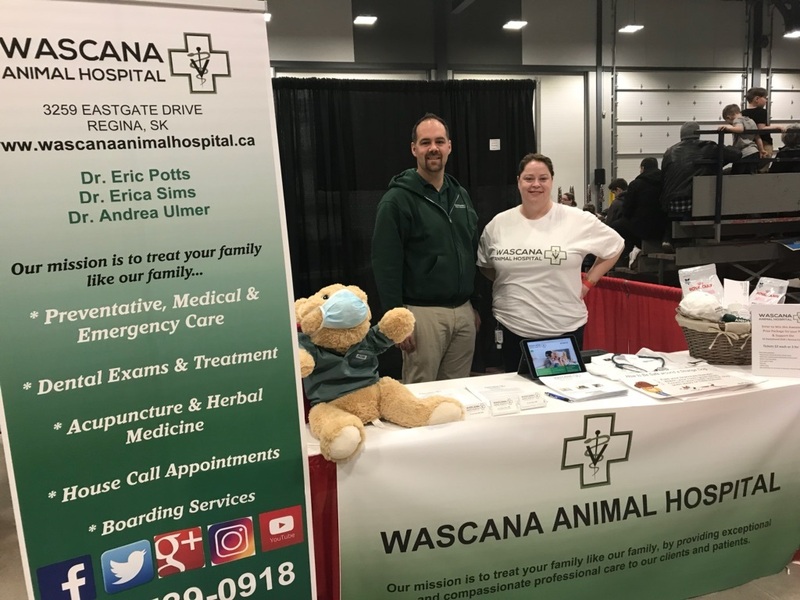 We enjoyed seeing many of our clients and pet lovers as well as the many rescue organizations around Regina, SK! Thank you to everyone who stopped in at our booth to talk with us! Dr. Sims and one of our RVT's Derek with Bob the WAH Bear! Dr. Potts and one of our RVTs Shannon greeting those who stopped in at our booth! One of our RVTs Jenn and hospital assistant Keisha welcoming those who stopped in to say hi! Our team also takes part annually in National Denim Day! On May 15th this year we sported our jeans and pink in support of the CURE Foundation for Breast Cancer Research. Almost all of us have a family member or close friend whose lives have been affected by this type of cancer and we appreciated everyone's support and donations! 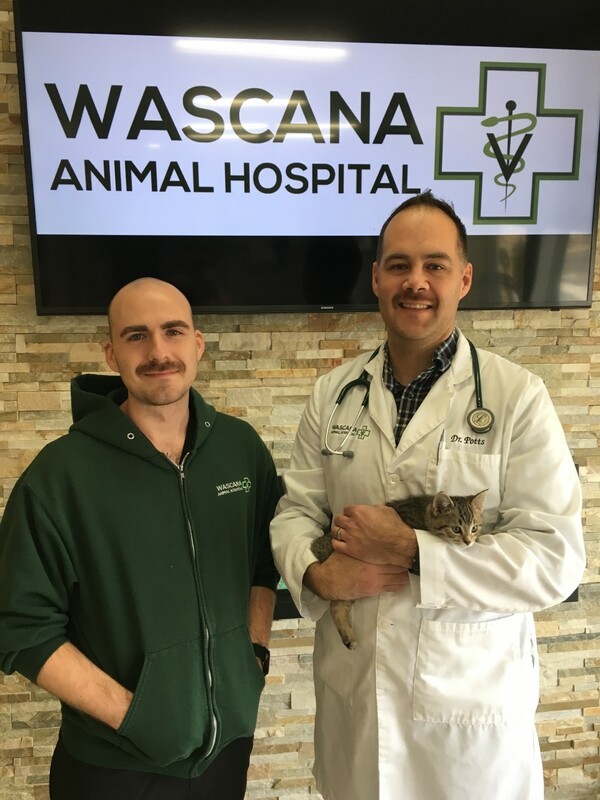 Dr. Potts and one of our registered vet techs Derek are participating in Movember this year to support awareness for men's physical and mental health! We will keep you updated on their moustache growth! 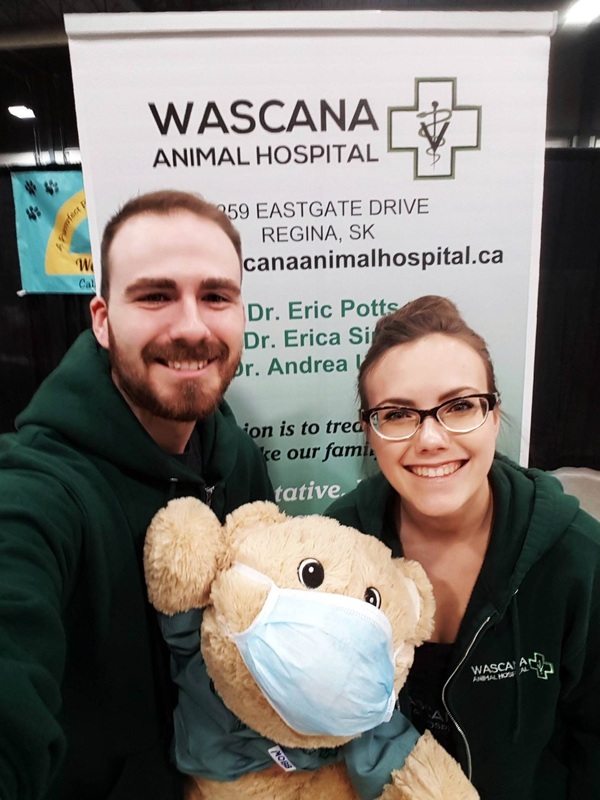 If you wish to make a donation to this important cause please visit the Wascana Animal Hospital team page on the Movember Canada website. 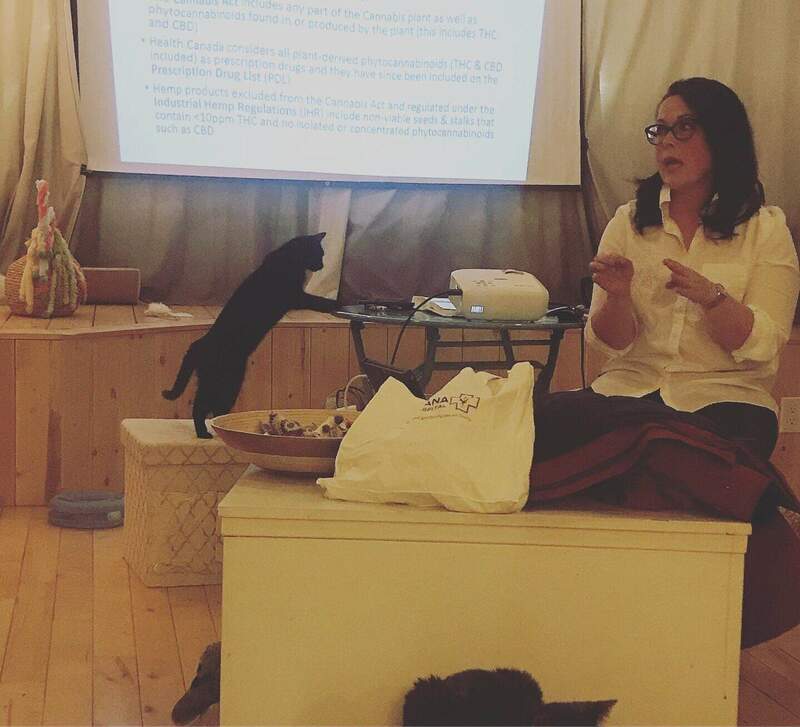 Dr. Ulmer recently gave an educational presentation on "Marijuana & Your Pet" to provide pet owners with more information on how the recent legalization of Cannabis this October 2018 has affected veterinary medicine. You can follow more on this hot topic on our Blog!